A few years back I decided I was going to end my tradition of getting one yearly Christmas ornament for our tree. Our tree was already so full of ornaments collected over the years and we really didn't need to fill it up anymore. This did not mean that I was not going to make ornaments for friends though so this year I decided to make a couple with the Tinsel & Tags kit from PapertreyInk. I loved this kit as soon as I saw it online and even more once I had it in my hands. Probably my favorite kit of all times. Seriously though the picture does not do it justice..there's so much dimension and detail in this...it's amazing. Only a couple more days till Christmas...can't wait! Thank you so much "Thyme Is Honey" for this amazing idea!!! Just keep those holiday cards coming so I can keep filling up my tree and look at all those wonderful people we love so much! We have been busy with the holidays. The Christmas season is really big in our household. One of my kids likes it even more than I do so we start decorating the house right after Thanksgiving around here. My hubby even decided to finally decorate the outside of the house and we finally have lights adorning our front bushes and big ornaments hanging from the tree on our front yard. I used a canvas and decorated it with burlap panels and used a bunch of Tim Holtz and Ranger products. I even watercolored and I am not a good watercolor person. But I do like this project and I loved getting messy. Oh my goodness...I could go on for hours explaining the torture I had to go through in order to get this video done, uploaded and shared. I have been wanting to do this video since about one and 1/2 months ago but the holidays and family always came in the picture first and only today I was able to record this video...this morning to be exact. It took me 5 tried to record because I could not figure out the settings in the new video camera and then the battery died. The uploading, converting and sharing of the video basically took me the rest of the day...had to learn so many things all at once but I finally did it. I will need to upgrade to !Life11 in my mac just to make the video recorder software compatible with my computer and make things a little easier and quicker next time....and I will be able to merge two videos together. Forgive my annoyed or frazzled speech at the beginning but after 4 tries, on the last fifth try, I was not a very calm and happy camper. Without further ado...here is the video tutorial in two parts. Wishing you all a very happy holiday!!! P.S. The quilting thread was bought online at Rushbrooke Strand (www.roserushbrooke.com). I had my quilting thread two days after I placed my online order. They also have very low shipping charges. This will be the last post for this week 'cause Thanksgiving is tomorrow and my family and I will be pretty busy just hanging out and giving thanks for all the things that we have for all the people in our lives. This is a wreath that I made a while ago for my mom...when the new Stampin'Up Idea Book & Catalog 2010 came out, she fell in love with the wreath that was in page 190. So I decided to make her very own and I will ship it to her next week...I only wish I was there to see her face when she opens the package. I used all Stampin'Up ribbons and a wire wreath I picked up from Michaels. So I have this new calling in my church and I am teaching Young Women...I know, SCARY!!! I definately was not a teenage role model so this calling is a bit intimidating...however, I am enjoying the girls and this past week they had a big activity. I was in charge of making them a little gift to remember the night and this is what I came up with. These are clips to attach to a sweater or a blouse and they were super easy to make. 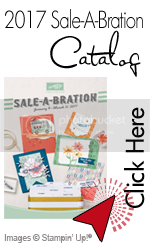 I just love the new Stampin'Up ribbons and those vintage brads are just amazing. I put them in these boxes I made...these are my favorite boxes to make because they don't even need any adhesive...it's all origami. To make these boxes I used some retired Stampin'Up Designer Series papers and I used the scallop circle punch to make those cute flowers on the top. I had started seeing Valentine theme things even before Christmas was over. Took me a little longer to get into the mood for this holiday but soon enough, I started playing with my pinks, my big shot and fabric...this is what I came up with. The little card has a Rasperry Fill Ghirardelli Chocolate inside...yum!!! I have my computer back!!! Ok, so here is a project I made over the holiday vacation. These are the best family pics of 2009 pasted with the "Delightful Dates" Calendar Kit in the Mini Catalog. I got this canvas on sale for $4 at Michael's, painted it with acrylic paint and then applied sticky tape on the back of the photos and calendar pages. I used some of my new and old Prima Flowers as well as stamping to decorate the calendar. I have made a few hand-made gifts this year despite the craziness of the holiday season and all that comes with it. These are more coasters I made for my hubby's company secret santa swap. These ones were hard to give away. I used some retired DSP that I really love and used my Stampin'Up glitter. These are tumbled tiles I originally made for a neighbor. Used my Stampin'Up pastels and Classic Ink!!! I have already started getting ready for the Thanksgiving Holiday and making little gifts/baking for friends and neighbors. I guess I just learned about getting "ghosted" here in this neighborhood....one of the sneaky neighbors comes to the doorsteps of your house at night, rings the doorbell, leaves a bag of goodies and runs away...like a little ghost coming to visit and give you a little trick and treat. In return, we too must transform in little sneaky ghosts and deliver a treat to two other neighbors. So I created these two little bags for the occasion...who will be the lucky neighbor to get our treats tonight???!!!! 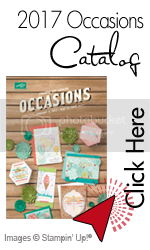 Stampin'Up has a new clearance rack section filled with some retired items at very discounted prices. Once these items have been sold out, they are gone for good. Click on the picture above or below to get the full list of photos and prices of all the clearance items. I actually have these tags held together at the top with a chain loop and they are attached on my daughter's school backpack along with her bus pass. This was a little time consuming for the simple reason that I had to spray the front and back of these tags before sealing them with ModPodge and an outdoor sealer so that the crazy weather does not ruin them. I made these little projects yesterday. After a visit from Michaels' early this week and seeing all the halloween things out already, I had to make something. The piece with the ghosts is a card and the other piece is a box containing some goodies. I only used the Twick or Tweet stamp set along with the Teeny Tiny Wishes stamp set. The coffin box template can be found HERE and I just used the same template to make my matching card. The backbround on the coffin was made using the Woodgrain stamp and my Frost White shimmerz paint. The boo saying was made with my sizzix Billboard decorative strip die. Hope this inspired someone to create today!!! Are you getting tired of seeing this set yet? I still am in love and can't get enough of creating with it. This box was created for a new Italian friend. I hope she likes it!!! I created this project a few days ago and it took me the longest time to create a watermark all by myself...it was pretty painful but now I can at least play around in photoshop a little later to perfect my watermark since you can see, it's pretty weak. Nonetheless, I created this pouch from the recently retired papers "Green Tea" from Stampin'Up. I really love these colors together and I have been using them a lot. Accessories: Chocolate Chip & Basic Gray taffeta ribbon, Baja Breeze 1" Double stitched ribbon, scalloped square punch, stickles, scalloped edge punch, white signo pen, Martha Steward dolly border punch. This project is going to be a gift to someone who is helping us getting settled very well here in Boston. I have been making a few projects here and there in the past 4 to 5 months but I did not get a chance to either photograph all of them or upload them in my computer. However, I did manage to upload some pics in my computer today and I will share in the next few days. I still have the kraft paper roll that Stampin'Up had offered a couple of years ago. I use it once in a while for very special people. I cut some up and stamped it in some of my favorite colors. These are a couple of gifts for a special friend who accidentally shares the same birthday as my son. I made another fabulous gift package a few days later for another friend but did not have the time to take the picture. I may ask her to do it so I can share that as well with you all. P.S. The snow storm came and is still here...it's all white here in Boston!!! I have been busy here with a few major changes but I am still getting into the Christmas spirit despite all the craziness around here. I have been making some home-made gifts for some special people this year. This is one of them. An advent calendar made from matchboxes and using the beautiful papers from the Frosty Day Designer Series Papers. 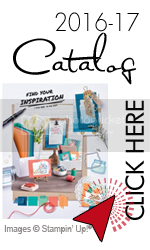 Used the Calendar Numbers and Everyday Flexible Phrases stamp sets and then embellished with a few trinkets from the Pretties Kit, Designer Buttons and rhinestone brads. The super soft Kiwi Kiss/Very Vanilla Satin Ribbon gave the perfect finishing touch to this project. Oh, almost forgot, used my all-time favorite Tombow Multi Purpose Adhesive to adhere some copper glitter all around the little drawers. This advent tree has 24 small drawers that can contain either candy or bible verses or papers filled with activities you can do with your kids and family every day of the month as a special treat and for getting into the Christmas spirit. As promised, here are a few pics of one of my finished ribbon spool albums...this one is using a retired Stampin'Up paper pack...I really fell in love with the Stampin'Up beads here!!! Remember to see the TUTORIAL in my previous entry to create your own ribbon spool album. I fell in love with the Green Tea Designer Series Paper as soon as I laid eyes on it...must be the hues of blues and greens together...it just sparks a weakness in me. A friend gave me this metal frame a while back. She bought it at Target and it came with these heart shaped magnets. I almost flipped when I saw her decorated frame with some pretty paper and the felt flowers she attached on the heart shaped magnets. Almost a half year later, I finally decided to decorate it with these papers from the Tea Garden collection and use my dearly loved Flower Fusion II felt flowers. It's been quiet here in my blog for a while...I have been creating and scrappin' these past few days and also been recovering from a flu/fever that snuck up on me out of nowhere. A dear friend from church left last week and I wanted to make her a little something...this is what I came up with. I got the idea from Andrea Walford who is absolutely amazing at paper crafts. I used the "Text & Texture" stamp set along with some of my new favorite products from the new catalog like the Flower Fusion felt flowers and the Chocolate Chip Designer Series Paper.